✔ STURDY & DURABLE made of environmental ABS of high strength with bandage and shift knob of silicon rubber of high tenacity. 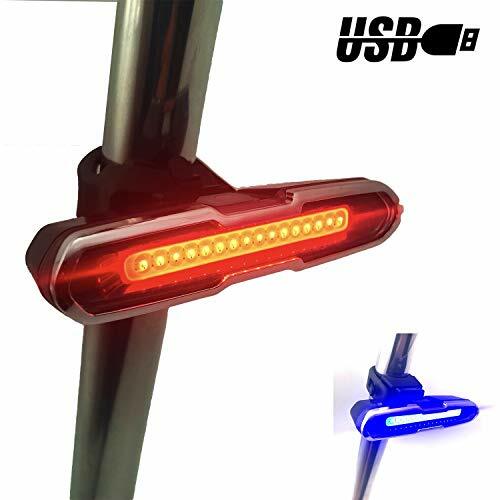 ✔ SUPER BRIGHT with 36 COB lamp beads of lighting colors Red & Blue on 5 LIGHTING MODES: RED ON, RED FLASH, BLUE ON, BLUE FLASH, RED/BLUE FLASH making quite a big difference compared to its competitors to guaranty your cycling safety in the dark. ✔ 500 mAh lithium battery built in to be fully charged by USB in 2 hours and the taillight can last 2 hours in high mode and 4 hours in low mode. ✔ WATERPROOF IPX 4. A storm may arise from a clear sky. This bike light can work normally in a dark raining night. ✔ MULTIPURPOSE. With free tools quick installation, this light can be used as tail light, front light for your bike, caution light on your helmet, backpack or as emergence light outdoors. If you have any questions about this product by DON PEREGRINO, contact us by completing and submitting the form below. If you are looking for a specif part number, please include it with your message.